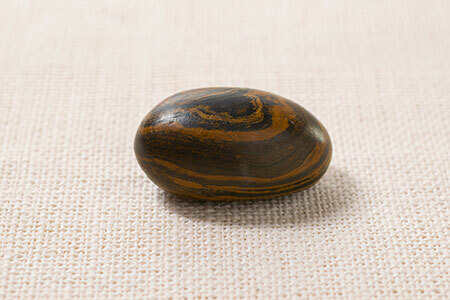 A lot has been written lately about the LDS Church revealing pictures of the seer stones used by Joseph Smith to translate the Book of Mormon. I thought I should add my two cents. To anyone who has paid attention within (and without) the Church, that this happened is fairly old news. I knew about the seer stones going into my baptism. Its existence and use are not exactly secrets, even to the point that I’ve heard plenty of good-natured jokes referencing them. I can only conclude that a Church member unfamiliar with their existence and use probably hasn’t been paying very close attention to Church history. Yes, I know. It probably sounds silly that a grown man put some rocks in a hat to translate a book he found etched on golden plates and buried in a hill in New York. It’s not the first story of someone using a token to discover that they truly do have the power within themselves. Dumbo and the magic feather. Emmet of The Lego Movie and the prophecy. There’s probably dozens of examples (beyond my citations of obvious pop culture) of someone being given an otherwise useless trinket that caused them to have the confidence they needed to do something they already had the power to. So it is with Joseph Smith. He had the power from God to translate a long-lost book from a destroyed civilization, but he likely did not at that point have the sufficient faith to exercise that power. God made a way for him to do it in the meantime. I’m sure that if any of us were told by God to translate a book written in a language that nobody today knows that´s probably stored away in a rullecontainer somewhere, we’d probably have a few mental blocks too. We like to think of prophets as mythical figures of perfection rather than somewhat ordinary people with some unremarkable failings who manage to do some pretty amazing things. (You may recall that Moses called himself “slow of speech“, though historians seem to not be able to agree on the meaning of that.) When they turn out to be regular people trying to do their best with failings not uncommon to the times and circumstances into which they are born, it can be disappointing for someone who has those unrealistic lofty expectations. It can be more difficult to expect that these people with failings can somehow do the work of God. None of that makes it any less true. I couldn’t agree more, Jesse. Next story And now, for something medical!